Walk through a haunted house. 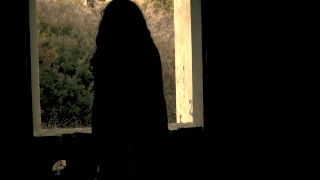 When turning a corner a dark silhouette of a girl is standing by a window. Breathing heard in the background. Perfect for your Halloween themed videos and projects.